Yes! You can take home an extra $200 when you refer a friend to us. Only Candidate Referrals that are not already in 24 Seven's applicant database qualify for this program. If the candidate referred has already applied for a position with any 24 Seven once, they are not eligible for this program. 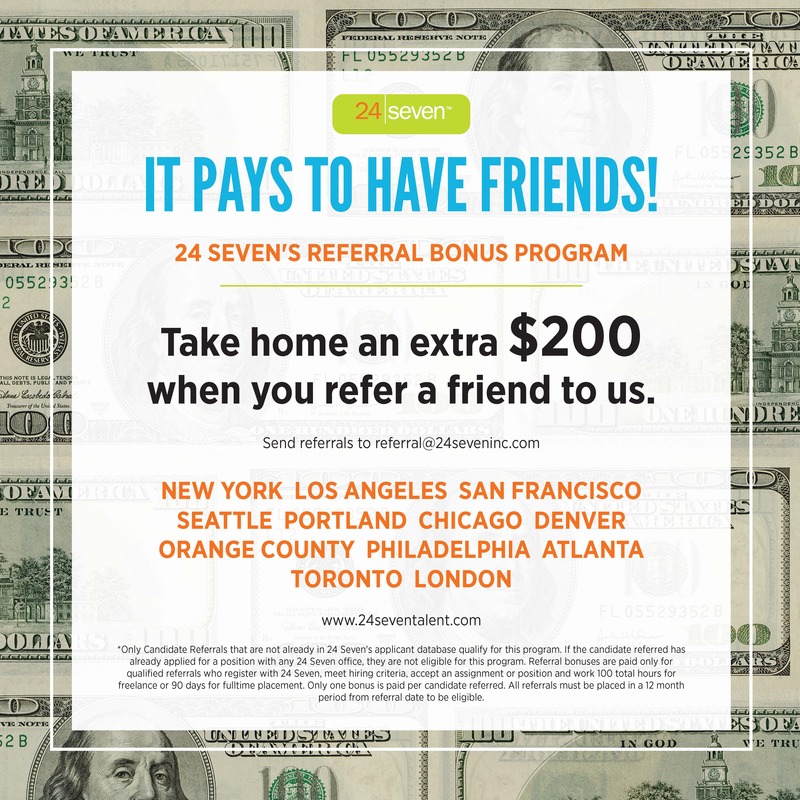 Referral bonuses are paid only for qualified referrals who register with 24 Seven, meet hiring criteria, accept an assignment or position and work 100 total hours for freelance or 90 days for fulltime placement. Only one bonus is paid per candidate referred. All referrals must be placed in a 12 month period from referral date to be eligible. Remember we fill positions in the Digital Marketing, E-Commerce, Creative Services, Fashion, Retail, Beauty and Events.